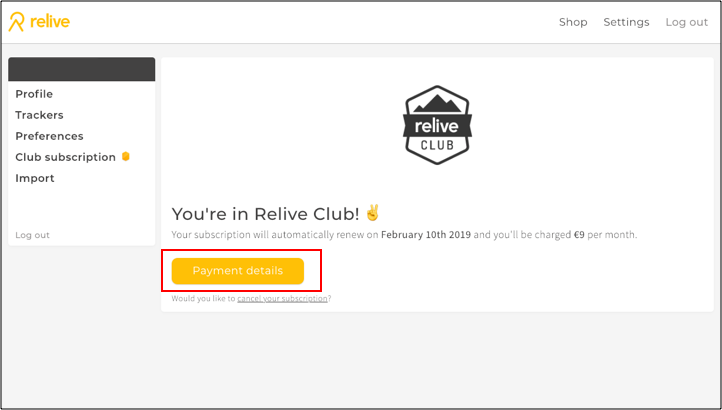 We will notify you with an email when the payment of your Relive Club membership has failed. Login to relive.cc with the right account. Go to Settings>Club subscriptions (or click here), to check and update your payment details. 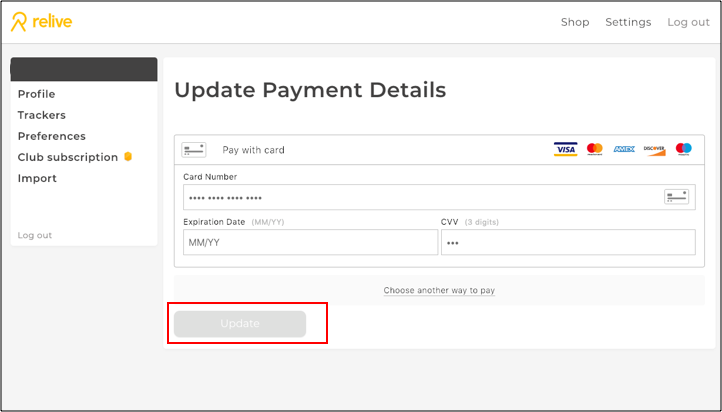 Fill in the new correct details and click: update. Your new details are saved. Your old details will always stay visible. It's not possible to delete them. 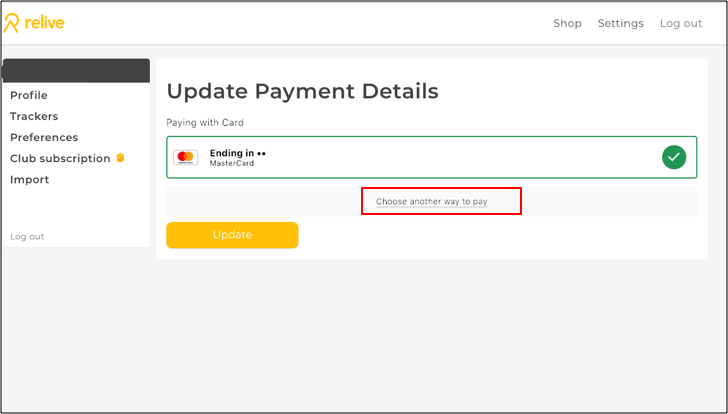 When the frist transaction failed, we notify you with an email and automatically retry the transaction after 10 days. When the retry fails, we send you a second email and automatically do a second retry after 10 days. When that second retry failed, your subscription will be canceled automatically. Second retry - 10 days after first failed retry, a second automatic retry will be done. Subscription canceled - After the second failed retry, your subscription will automatically be canceled.